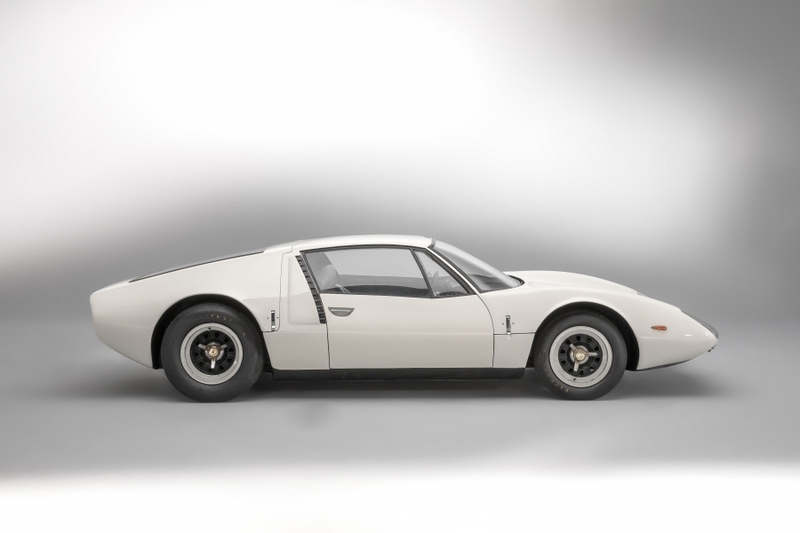 Retromobile 2019 by Artcurial Motorcars : the official Salon Retromobile auction. It will begin on the evening of Friday 8 February with the collectors’ car sale, followed on Saturday 9 February with a sale of 90 MV Agusta motorcycles, and conclude on Sunday 10 February with the Racing, Flying, Yachting sale followed by Vibration, the sale of an exceptional collection of F1 drivers’ helmets and racesuits. 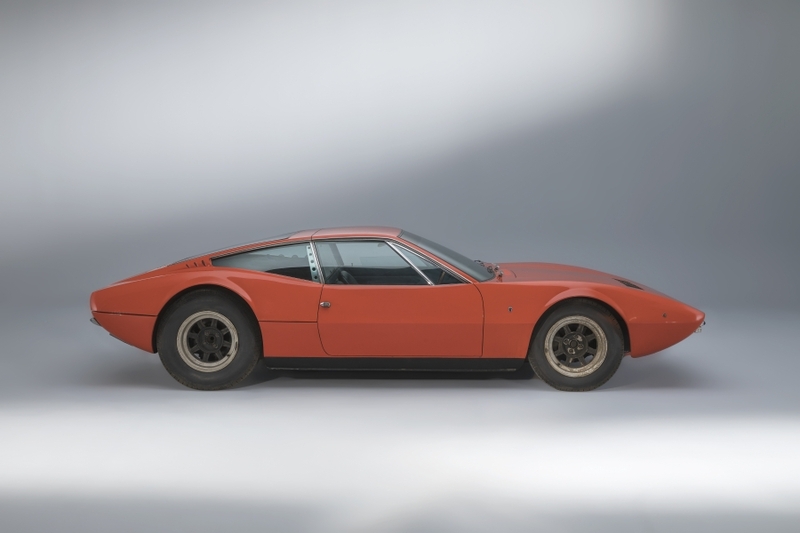 Retromobile by Artcurial Motorcars returns once again to the Salon Retromobile for the 2019 edition. 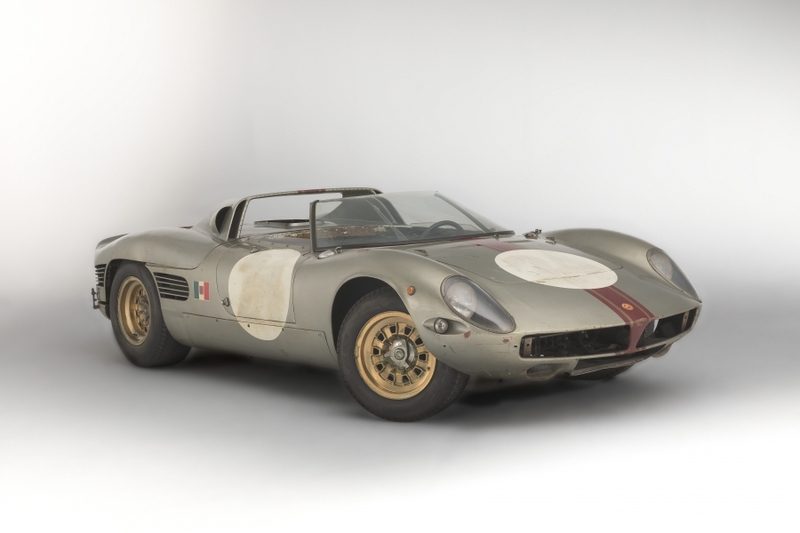 This prestigious annual event takes place at the Parc des Expositions de la Porte de Versailles in Paris, and will begin on 6 February with an incredible line-up of collectors’ cars, sourced by the dynamic team of specialists at Artcurial Motorcars. First off will be the collectors’ car sale on Friday 8 February, starring a splendid 1939 Alfa Romeo 8C 2900B Berlinetta, estimated to fetch between 16 and 22 million euros. On 9 February, it will be the turn of two-wheeled machines, and more specifically, the Italian marque, MV Agusta. Around 100 classic motorcycles from an important Italian collection will be presented for sale. The third chapter on Sunday 10 February will start with with the traditional sale Flying, Racing, Yachting, attracting a regular crowd of enthusiasts. Concluding the 2019 event will be an extraordinary sale entitled Vibration, featuring the largest collection worldwide of Formula 1 helmets and accessories. An amazing tribute to this much-loved sport, this is an opportunity for collectors and enthusiasts to get closer to the greatest moments in F1 history. 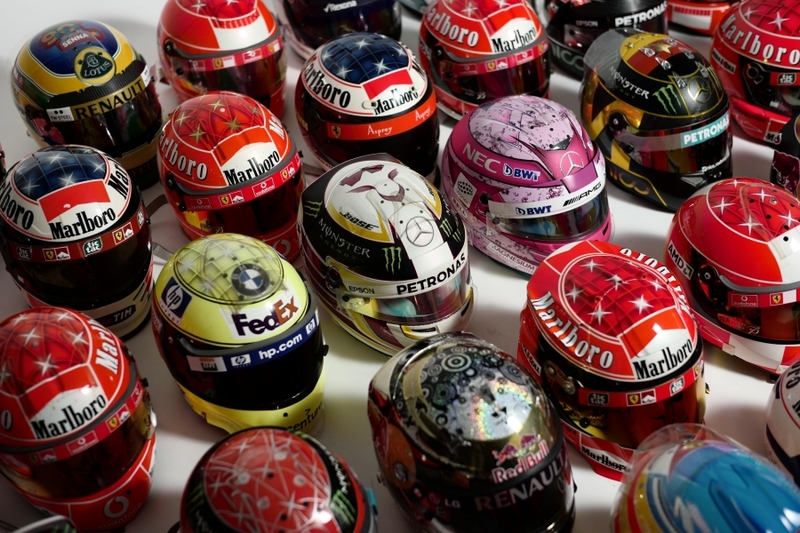 Alonso, Raïkkönen, Rosberg, Schumacher, Hamilton, Villeneuve are some of the names represented by their helmets and racesuits. 180 helmets and 150 racesuits, steering wheels and other items will all be offered at no reserve, in this unique sale. The halls of the Salon Retromobile will once again fill with the sound of revving engines and the sight of gleaming bodywork, in this 44th edition of the annual Show. 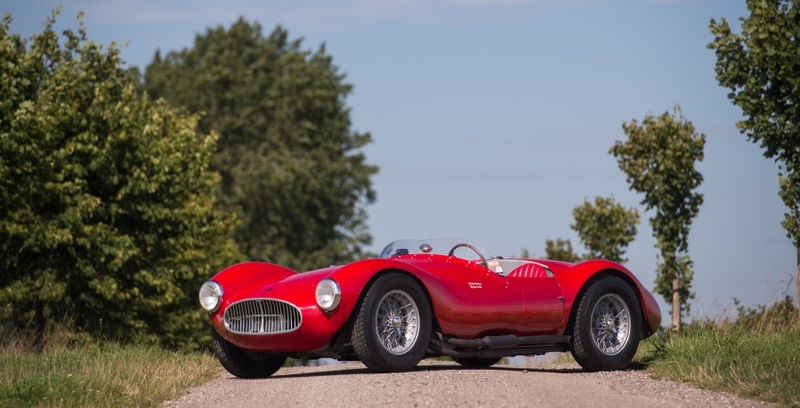 The team of specialists at Artcurial Motorcars has once again sourced an exceptional line-up to tempt collectors and enthusiasts from far and wide. The Alfa 8C was the fastest car of the pre-war era. Less than fifty examples were built and only five had this very desirable Touring bodywork. The model is one of two pre-war masterpieces, along with the Bugatti Atlantic. This example retains the configuration it had on leaving the factory, and still has its original engine. Remarkably, it has been in the hands of the current owner for 43 years! FewGrand Prix Bugatti come with such continuous history. It was purchased by one of the most prominent private drivers of the day, Maurice Lehoux, who drove it to 6th overall in the 1932 Monaco Grand Prix. It was then raced by renowned names including Maurice Trintignant, who added to the car’s competition provenance which includes more than forty Grand Prix races. It is rare to find a Grand Prix Bugatti still with its original chassis, bodywork and many mechanical components, presented in such wonderful condition. Delivered new to the United States, this important competition Maserati was test-driven by none other than Juan Manuel Fangio ! With known, transparent history, it is eligible for all the most prestigious historic events, ready to take to the road or track, thanks to an exceptional restoration. This exceptional Spyder participated in the Le Mans 24 Hours in 1966 as n°24 with drivers Jean-Claude Sauer and Jean de Mortemart. It is equipped with a 3.5-litre V8 engine designed by Alberto Massimino. Its aluminium bodywork was made in the prestigious Italian Fantuzzi workshops and it is the only surviving Spyder of two built. The car is in exceptionally original condition, looking as if it had just left the race track, and not been touched since. The car has only ever had one owner: Count Giovanni Volpi di Misurata. The Serenissima Agena was originally designed as a high-end Grand Tourer with a mid-engined layout that was still avant-garde at the time. Equipped with an engine almost identical to that of the Le Mans Serenissima Spyder, the car has the appearance of a prototype. It has hardly been used, and is presented today in highly original condition. This unique car is being sold by the man who created the marque and comes with all the documentation and photos detailing its history. 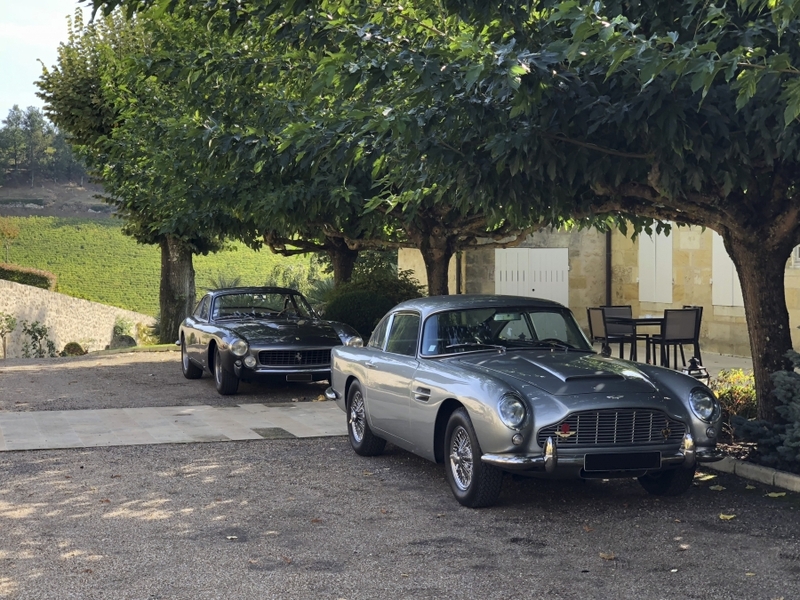 Four icons in the history of the automobile, all grey, all chosen by their owner, a Parisian businessman. One of two 275 models destined for personal friends of Enzo Ferrari. 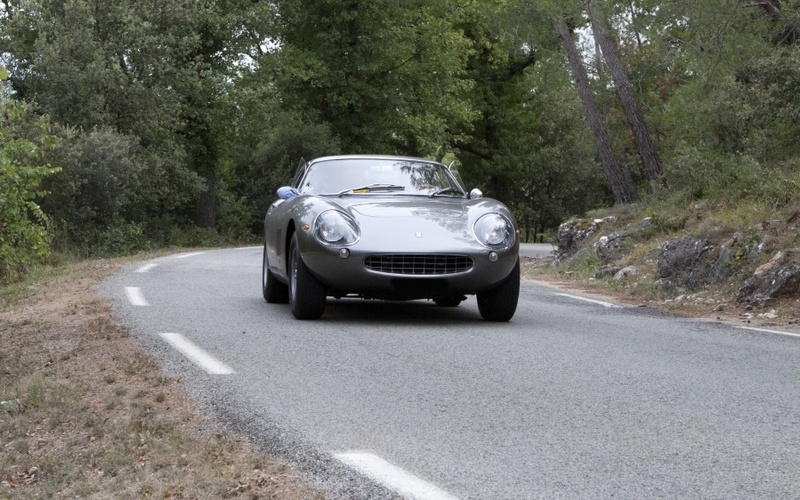 Like the sister car, sold in 2012 by Artcurial Motorcars, it is stamped with a GTC chassis number. A special and almost unique car, it comes with Ferrari Classiche certification and is fully restored. Completely restored by the Carrosserie Lecoq, this car is in exceptional condition. 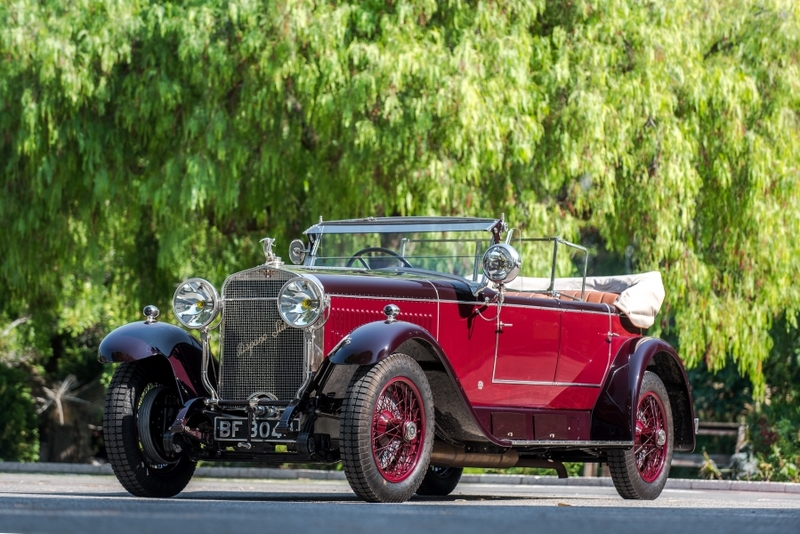 This prestigious and charismatic sport convertible was delivered new to an aristocratic family in Rio de Janeiro in 1927 and remained there until the 1970s. It is luxuriously equipped and in exceptional condition. 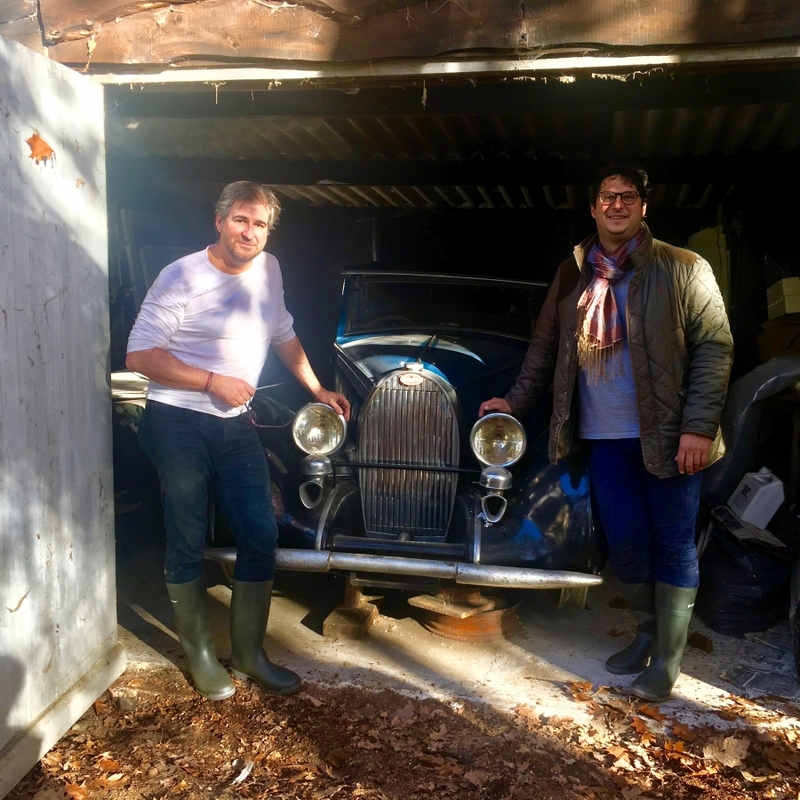 Matthieu Lamoure and Pierre Novikoff have discovered four remarkable vehicles, untouched since the end of the 1950s, in a barn in Belgium : a Bugatti 57 Cabriolet, a Bugatti 49 faux-coupé Gangloff, a Bugatti 40, and a Citroën 5HP "Trèfle". Their owner, a sculptor, kept them in his property to study, rather than drive. 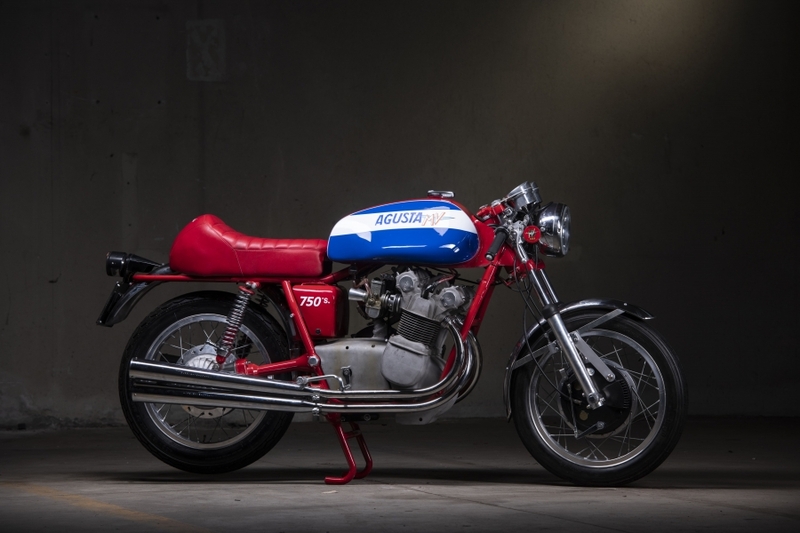 Considered to be one of the largest collections of classic motorcycles in the world, this remarkable private collection of MV Agustas will be presented for sale on Saturday 9 February 2019. An Italian family of enthusiasts are responsible for bringing together close to 100 classic motorcycles, some dating back to 1945. Two-wheel afficionados will discover a variety of machines from competition motorcycles to unique scooters and « four-stroke sports bikes », with estimates ranging from 3 000€ to 250 000€ (3 500$ - 300 000$), and all offered at no reserve. The 750S, estimated between 100 000 – 150 000 €, is one of several models built by Arturo Magni himself. The passion for motorbikes was in the current owner’s genes. His uncle, who had worked as a boy in the MV garage in Northern Italy, raced successfully in such legendary events as the Giro d’Italia and the Milan-Taranto. This was when his interest in MV Agusta developed, and he began to buy certain models that were little known and not worth much, at the time. The collector was eventually forced to store all his treasure in a disused factory. MV Agusta will benefit from this unique sale by linking up with Artcurial Motorcars. The company will offer exclusively the last MV Agusta F4 built. An opportunity not to be missed! The Salon Retromobile will provide the setting for the largest auction sale ever held of F1 helmets and racing overalls. It will be the perfect opportunity to buy a piece of history of a sport that is all about power and speed. This one-off collection, unique for the quantity, quality and authenticity of the items, is the result of one man’s work over 25 years, to assemble 180 drivers’ helmets, 150 racesuits, steering wheels, F1 nose cones and various other bits of equipment. The entirety of this collection will be offered at no reserve, something that has not happened before in the motorsport market. Alesi, Alonso, Barrichello, Berger, Bottas, Button, Coulthard, Hakkinen, Hamilton, Hill, Ocon, Prost, Raïkkönen, Rosberg, Schumacher, Vettel, Villeneuve…all the greatest drivers are represented. To celebrate this ode to F1, Artcurial Motorcars has teamed up with a great name in the photography world: Mathieu César. Passionate about speed, he is a renowned fashion photographer, courted by all the biggest luxury fashion houses for his vision and artistic talent. A car lover, he has taken a superb series of photos of this totally unique collection.